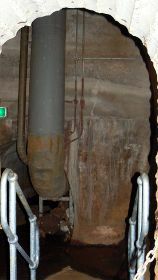 The Darwin Wharf Tunnel Tour allows you access to the oil storage tunnels dug underneath Darwin to provide protection against Japanese bombing during the second World War. 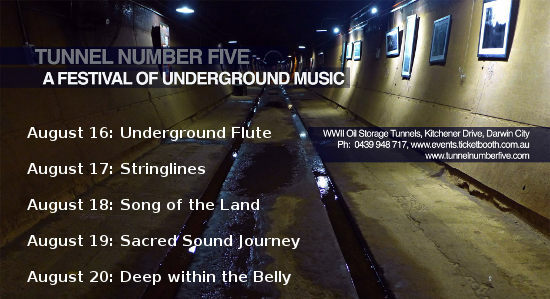 Experience the sound of music echoing and reverberating in the underground tunnels during this 2016 Festival of Underground Music. The entrance to the tunnels is from Kitchener Drive, the road running around the base of the cliff which provides access to the wharf precinct. 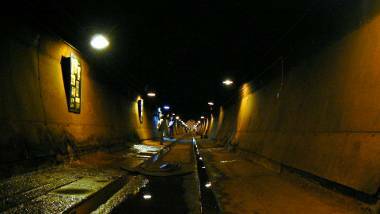 Visitors looking at the photo displays along the dimly lit main tunnel. After most of the fuel storage facilities in Darwin were destroyed in the first bombing raid by the Japanese, work was started on these tunnels to provide the allies with secure supplies for the Pacific war. 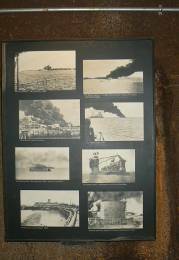 The photos displayed along the wall of the main tunnel provide a graphic history of the destruction caused by bombing raids during the war. 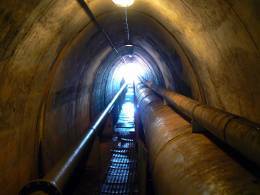 A small set of steps leads down to the main tunnel, with some of the original plumbing still intact. Only one of the main tunnels is accessible, although you can see a glimpse of others. Work on the tunnels started in 1943 and they were only just completed before the end of the war. As it happened a Victorian hydro-electric scheme had been started in 1937 to provide power to Melbourne, designed with dams and tunnels using the Kiewa River. 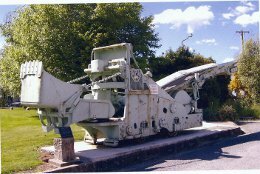 A specialised tunnel digging machine known as a Conway Shovel and the men who operated it were moved to Darwin to help dig the Oil Tunnels. This machine ran on rails along the tunnels, using the bucket at the front to move excavated material onto a conveyor belt and to the rear, where it could be removed from the tunnel. At the end of the main tunnel an emergency exit leads out to daylight at the base of the cliffs near the Deck Chair Cinema.